How would you rate your experience with Bayer ? Bayer can trace its roots all the way back to 1863. The company was founded in Barmen, Germany, by Fredrich Bayer and his partner, Johann Friedrich Weskott. Corresponding to his education, Friedrich Bayer was responsible for commercial tasks at the young company. Wescott had an apprenticeship as dyer, which gave him knowledge in chemistry. After moving several times, the company came up with their logo of the Bayer “cross”, which is still used today. In 1899, the company received a trademark for the word aspirin and began selling tablets in drug stores. 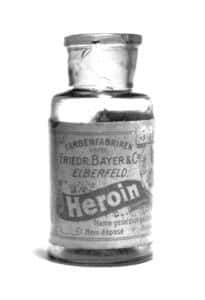 The company also sold heroin as a cough suppressant The word Heroin was a company trademark until after WWI. 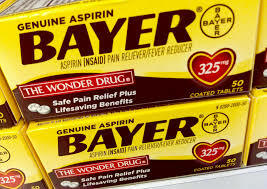 Today, Bayer is mainly known for aspirin and other pharmaceutical items, even though the company has expanded into other areas including fertilizer, vitamins, and, with the acquisition of Monsanto in 2016 for $66 Billion, GMO seeds. The company also has a pet care division, which markets flea, tick, and heartworm medication for dogs and cats, as well as prescription drugs for horses, cattle, and family pets. Bayer’s main headquarters is located in Germany, as well as headquarter extensions in almost every continent. In the US, the corporate office is located in Whippany, New Jersey. Question 1: What is the phone number for Bayer? Answer 1: The phone number for Bayer is (862) 404-3000. Question 2: Who is the CEO of Bayer? Answer 2: The CEO of Bayer is Philip Blake. 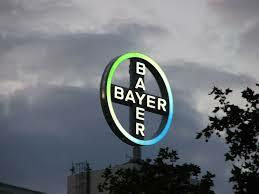 Question 3: Who founded Bayer? Answer 3: Bayer was founded by Fredrick Bayer & Johann Friedrich Weskott in 1863. Want to make sure Bayer sees your comment or complaint?